Every individual is a Leader in her/himself! 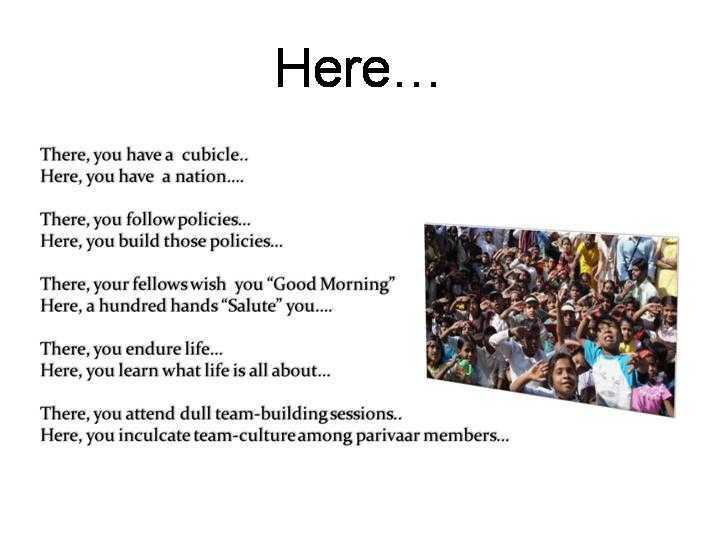 A chance to assume a leadership to do good at a societal level is something which is highly sacred and always required. 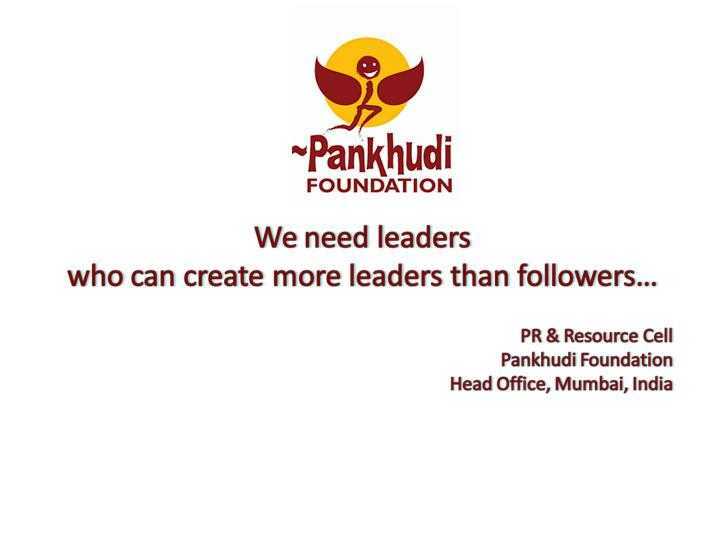 Pankhudi helps in developing leaders who directly or otherwise contribute towards upliftment of society -and, thus, evolving the person into an accomplished and satisfied human being.